I've seen and heard claims that Revit passes changes to the Project Browser sorting along to the central file and therefore on to other user's local files during a Synchronize with Central (SwC). In Revit 2012-2014 (all that I currently have on my PC) I find that "my" project browser selection does not transfer to other users during a SwC. I do find that anyone who opens their local file will inherit the "current" Project Browser setting. When we use SwC Revit is storing the Project Browser sorting criteria but it doesn't alter any open local file's configuration. Occasionally I find that if I watch the Revit interface during a SwC that it looks like the Project Browser sort of "flashes" as if it is changing and then restoring "my" setting. I've also noticed that occasionally Revit's "focus" changes (highlights/bold) back to the "Views" heading, when there is a difference between my local and another local's setting. Anyone that opens a new local file will inherit the "current" Project Browser setting. Current is based on the most recent SwC and that user's setting. This means we can casually change the Project Browser setting while we are working but new local files that are opened after we use SwC will inherit "our" Project Browser setting. It might be considered polite to remember to set the Project Browser sorting to a "standard" one before we use SwC, at least if we are the last one in the office. It's not hard to pick the browser configuration I want instead once my local file is open and it doesn't really bother me to do so. It does annoy some people though. If a team is aware of this subtle dynamic they can decide how they want to deal with it. We all use the same Browser type but we do create a new local each time we open. When I do this I can tell who last did a SwC by which View grouping is open in the browser: was it the floor plan guy, or the siteworks girl, or the details dude, or was it me on some schedules. 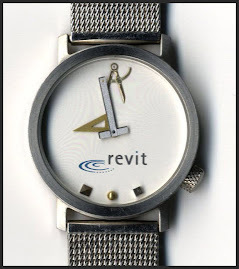 The first Revit version I meddled with was 8.0 and I truly started using it in production in 8.1. Even then, if you always opened the same local file, the browser organization and active workset stayed put even if someone had different settings and they saved to central and you did the same or reloaded latest. It's only if you create a new local that you would notice a change (you pick up the settings of the last "saver"). I think it would be nice if Revit somehow had a way to track user preference, but this might be too complex to achieve. I guess a nice additional setting would be to have a default project browser organization, similar to the Starting View setting. And perhaps a default active workset as well? At the risk of getting off topic here, one downside of us creating a new local each time is that we have to select which worksets we want open and closed each time. One person's misery is another's blessing :) I actually like choosing which worksets to open first, but I don't live all day in one sort of workset world and some do.